Ever since Kae was a little girl, she was fascinated by the Hanaoka family, especially Otsugi, a beautiful woman who married into the family. So Kae was delighted when Otsugi approached her family to ask if Kae would marry her son, Umpei. For the first few years of the marriage, Umpei is in medical school, and Kae lives with his family. All is well, and Kae feels at home with the family. But when Umpei returns home, a competition ensues between Otsugi and Kae, with each one seeking to be the center of Umpei’s life and affection. 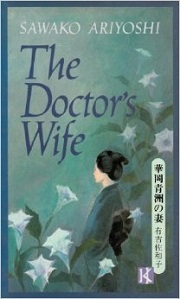 Sawako Ariyoshi based this 1966 novel (translated from Japanese by Wakako Hironaka and Ann Stiller Kostant) on the life of Hanaoka Seishū, a pioneer in the treatment of breast cancer and the first surgeon to use general anesthesia (in 1804). 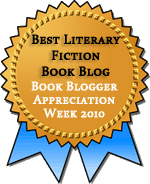 In the novel, he owes his success to Kae and Otsugi, but the book is not an inspirational story of the great women behind the man. Instead, it’s a story of how, in a society centered on men’s success, women have no choice but to prostrate themselves before men, being willing to give up even their lives in order to gain the affection and respect of the men in power. This is a good (and short) book, but I found it extremely disturbing. There are some sections involving animal experimentation that were very difficult to read, although I could certainly understand their importance to the story (and to the work Seishū was doing). The role of the women in the work rattled me considerably, especially because it wasn’t clear that they cared about the work so much as about winning the war of reputation and Seishū’s affection. Late in the book, one of the characters says, “I think this sort of tension among females … is … to the advantage … of … every male.” And that’s exactly how it works in this book. Yet the women are (or claim to be) happy to do it. I’m still pondering some of the differences in Seishū’s treatment of his mother versus his wife. He gives his wife more of what the two women say they want, but, given that what they want is not good for them, he’s actually kinder to his mother. So what does that say about his feelings for the two women? Does he respect Kae’s strength more than his mother’s? Or does he care more about his mother’s life? Would he even be able to articulate why he makes the choices he does?